In general, safety concerns about dental fluoride and fluoridation relate to a number of factors, including toxicity of fluoride, total fluoride intake, fluoride absorption, the impact on human health, the effect on the environment, water quality, and the engineering aspects. 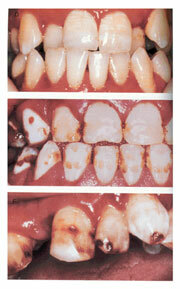 Anti-fluoridation groups frequently and inappropriately exhibit photographs of children and/or adults having severe fluorosis in which pitting or mottling of the enamel and brown stains are evident and put the blame on water fluoridation, often describing dental fluorosis as a major risk factor for people of all ages. In making dental-health decisions, the risk of developing very mild fluorosis versus the benefit of decreased tooth cavities and dental treatment costs should be considered. The handling of fluorides is carefully regulated in industry by occupational safety health legislation and in the marketplace by the Food and Drug Administration (FDA). Commercial dental fluoride products and professional practices can be toxic and even lethal when used inappropriately. The lethal dose for an adult is somewhere between 2.5 and 10 g. The probable lethal dose (PLD) is estimated as 5mg/kg of body weight. For a 10kg child, this corresponds to all the contents of a 45g tube of toothpaste. Therefore young children should not be allowed unsupervised access to fluoride toothpastes or fluoride supplements. If the amount ingested is less than 5 mg/kg, plenty of fluid, preferably milk should be ingested to help dilute the fluoride compound in the stomach. Lime water (calcium hydroxide) or Maalox (an aluminum preparation), can be drunk to accomplish the same purpose. Vomiting is beneficial and often occurs spontaneously. If the amount is over 5 mg/kg, first aid measures should be applied, followed by hospital observation for possible further care. If the amount of fluoride ingested approaches or exceeds 15 mg/kg, the immediate first aid treatment should be followed by a most urgent action to move the individual swiftly into a hospital emergency room where gastric lavage, activated charcoal administration, cardiac monitoring, electrolyte evaluation, and shock support is available. 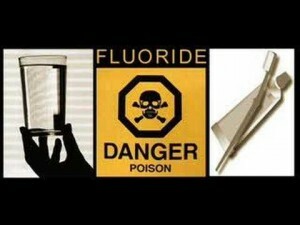 Ingestion of 15 mg/kg fluoride can be lethal. 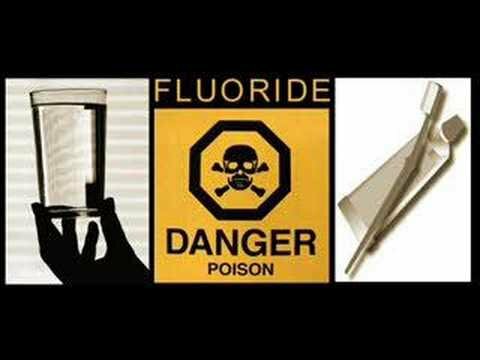 The blood level reaches its maximum from 0.5 to 1 hour after the fluoride is ingested and by that time it can be too late. As presently packaged, the fluoride content of over-the-counter (OTC) fluoride products can exceed the PTD for children. Clearly, parents need to be educated about the hazards of fluoride-containing dental products. Dentifrices, mouthrinses, and fluoride supplements need to be securely stored. Dental fluorosis has been described as a series of conditions occurring in those teeth that have been exposed to excessive sources of fluoride ingested during tooth enamel formation. Fluorosis, regardless of severity, cannot occur once enamel formation is complete and the teeth have erupted; therefore older children and adults are not at risk for dental fluorosis. 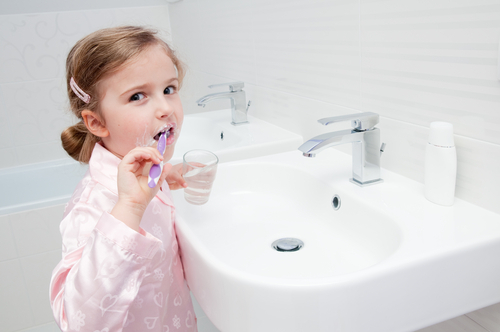 Dental fluorosis occurs when children consume excessive levels of fluoride in various ways, such as when drinking water from private wells or community-water systems with higher-than-optimum levels of naturally occurring fluoride. However, the greatest likelihood of exposure to excess fluoride in children results from accidental ingestion of toothpaste containing very high concentrations of fluoride and taking of inappropriately prescribed dietary fluoride supplements. The degree of fluorosis depends on the total dose of fluoride, as well as on the timing and duration of fluoride exposure. The potential for fluorosis risk is from birth to 6 years with the upper front teeth being at the greatest risk between the ages of 15 to 30 months. The risk depends on the fluoride concentration of the toothpaste and the amount swallowed. The amount of paste on the brush is very important. Parents should place a small pea-sized smear of toothpaste on the toothbrush and encourage the child to spit out excess paste. Small children do not spit effectively, and the face of a 2-year-old is often level with the basin. The appearance of dental fluorosis can vary greatly, depending on severity that ranged from questionable (white spots or “snowcapping”), to very mild (white flecks), to mild (fine white lines on the tooth surface), to moderate (very chalky, opaque enamel which fractures soon after tooth eruption), to severe (mottling and brown staining affecting all tooth surfaces). However, not all enamel opacities are caused by fluorosis; some are caused by other chemical agents such as strontium or pharmaceutical agents such as tetracycline. Idiopathic opacities also exist for which the cause(s) is/are currently unknown. Dental fluorosis can be managed by remineralization, microabrasion or restorative replacement of the affected discolored tooth enamel. More extensive staining can be restored with veneers of composite resin or porcelain once the tooth is fully erupted. This entry was posted in Oral Care and tagged cavities, dental fluoride, fluoridation, fluoride poisoning, fluoride supplement, fluoride toothpaste, fluorosis, safety of fluoride, Toothpaste on September 10, 2011 by oileng.